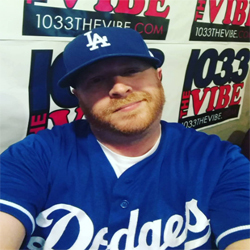 A complete copy of these rules can be obtained at the offices of radio station 103.3 The VIbe (“Station”), owned and operated by Cumulus Media Holdings Inc. or one of its subsidiary companies, 1376 Walter Street, Suite 6, Ventura, CA 93003 during normal business hours Monday through Friday or by sending a self-addressed, stamped envelope to the above address. Eligibility. This Contest is open only to legal U.S. residents age eighteen (18) years or older at the time of entry with a valid Social Security number and who reside in the Station’s Designated Market Area (“DMA”) of Oxnard/Ventura as defined by Nielsen Audio, who have not won a prize from the station in the last 30 days or a prize valued at $500 or more in the last 90 days, and whose immediate family members or household members have not won a prize from the station in the last 30 days or a prize valued at $500 or more in the last 90 days. Void where prohibited by law. Employees of Cumulus Media Holdings Inc., its parent company, affiliates, related entities and subsidiaries, promotional sponsors, prize providers, advertising agencies, other radio stations serving the Station’s DMA, and the immediate family members and household members of all such employees are not eligible to participate. The term “immediate family members” includes spouses, parents and step-parents, siblings and step-siblings, and children and stepchildren. The term “household members” refers to people who share the same residence at least three (3) months out of the year. The Contest is subject to all applicable federal, state and local laws and regulations. Participation constitutes entrant’s full and unconditional agreement to these Official Rules and Sponsor’s decisions, which are final and binding in all matters related to the Contest. Winning a prize is contingent upon fulfilling all requirements set forth herein. Contest Period. The Contest will begin at 10:01AM PT on September 11, 2017 and will run through 7:00PM PT on September 15, 2017 in two distinct time blocks, Weekdays from 10:01AM PT to 2:00PM PT and Weekdays 3:00PM PT to 7:00PM PT (the “Contest Period”). The Station’s computer is the official time keeping device for this Contest. (i) On-Air: Potential contestants should listen to the Station Weekdays from 10:01AM PT to 2:00PM PT and/or 3:00PM PT to 7:00PM PT during the Contest Period. When the Station Announcer, at random times during the Contest Period, gives the “cue-to-call” the correct numbered caller, listeners should call the Station Contest Line at (805) 656-9595. The “Designated” Caller to the Station, as announced by the on-air personality and determined by the Station in its sole discretion, will be entered as our winner. Winner Selection. Station will select two (2) call-in contest winners per weekday, one (1) winner to be selected in each of the two (2) weekday Contest Periods. Winners will be the Correct Numbered Caller that the on-air announcer designates at the time the cue-to-call is given for that day and at that time. The winning entrant will be notified immediately by the on-air announcer that they have won the contest for that day and time. All winners are subject to verification of eligibility and compliance with the terms of these rules. Station’s decisions as to the administration and operation of the Contest and the selection of the potential winner are final and binding in all matters related to the Contest. Failure to respond to the initial verification contact within three (3) days of notification will result in disqualification. Verification of Potential Winner. POTENTIAL CONTEST WINNER IS SUBJECT TO VERIFICATION BY STATION WHOSE DECISIONS ARE FINAL AND BINDING IN ALL MATTERS RELATED TO THE CONTEST. The potential winner must continue to comply with all terms and conditions of these Official Rules, and winning is contingent upon fulfilling all requirements. The potential winner will be notified by email and/or telephone call when to pick up their prize. The potential winner will be required to sign and return to Station, within three (3) days of the date notice is sent, an affidavit of eligibility and a liability/publicity release (except where prohibited) in order to claim his/her prize, if applicable. A winner who returns the affidavit of eligibility and liability/publicity release will be deemed to have accepted the Contest Prize and thereafter will not be permitted to rescind their acceptance of the prize and/or return the prize. If a potential winner cannot be contacted, fails to sign and return the affidavit of eligibility and/or the liability/publicity release within the required time period (if applicable), or if the prize or prize notification is returned as undeliverable, potential winner forfeits prize. In the event that the potential winner of a prize is disqualified for any reason, Station may award the applicable prize to an alternate winner by random drawing from among all remaining eligible entries. There will be a total of up to (10) prizes awarded during the Contest. 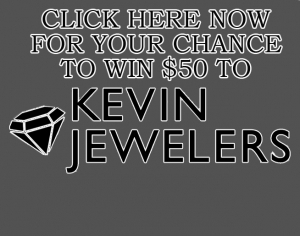 Each Prize will be One (1) $50 Kevin Jewelers Gift Card. Each Gift Card is furnished by Kevin Jewelers and is redeemable at any of their 33 Mall Location Stores only. Card has no cash value beyond Kevin Jewelers and change will not be given. Each Gift Card has upon it an Expiration Date and Terms and Conditions, over which “Station” has no control. 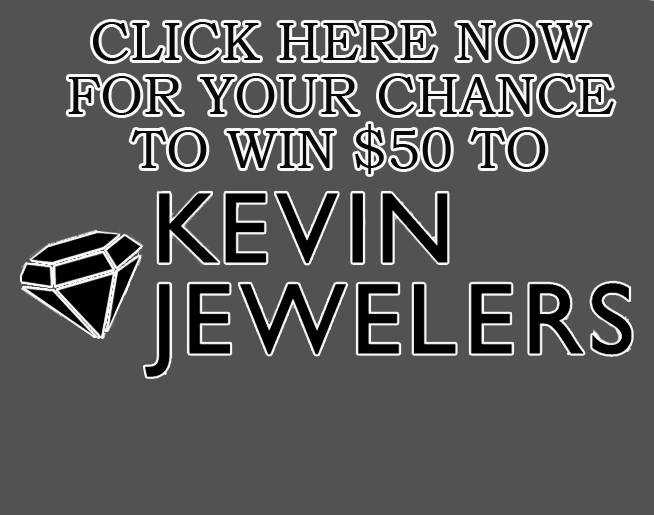 It is the individual winner’s responsibility to use their Gift Card in accordance with these conditions and within the time period specified on each Kevin Jewelers Gift Card. ARV of each Prize is $50.00. GIFT CARDS ARE NON-TRANSFERABLE AND MAY NOT BE SOLD FOR ANY REASON. Winner is responsible for all taxes associated with prize receipt and/or use. Odds of winning the Prize depend on a number of factors including the number of eligible callers during the Contest Period and listeners participating at any given time. Station reserves the right to substitute any listed prize for one of equal or greater value for any reason. Contest Period. The Contest will begin at 6:01AM PT on August 28, 2017 and will run through 10:00AM PT on September 1, 2017 in two distinct time blocks, Weekdays from 6:01AM PT to 10:00AM PT (the “Contest Period”). The Station’s computer is the official time keeping device for this Contest. (i) On-Air: Potential contestants should listen to the Station Weekdays from 6:01AM PT to 10:00AM PT during the Contest Period. When the Station Announcer, at random times during the Contest Period, asks for the correct numbered caller, listeners should call the Station Contest Line at (888) 330-1033. The “Designated” Caller to the Station, as determined by the Station in its sole discretion, will be entered as our winner. Winner Selection. Station will select one (1) call-in contest winners per weekday, one winner to be selected in each of the weekday Contest Periods. Winners will be the Correct Numbered Caller that the on-air announcer designates at the time the cue-to-call is given for that day and at that time. The winning entrant will be notified immediately by the on-air announcer that they have won the contest for that day and time. All winners are subject to verification of eligibility and compliance with the terms of these rules. Station’s decisions as to the administration and operation of the Contest and the selection of the potential winner are final and binding in all matters related to the Contest. Failure to respond to the initial verification contact within three (3) days of notification will result in disqualification. There will be a total of (10) prizes awarded during the Contest. 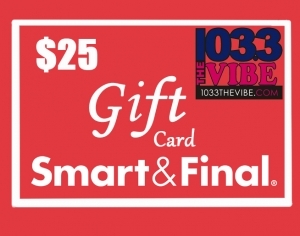 Each Prize will be One (1) Gift Card to Smart & Final Grocery Store. 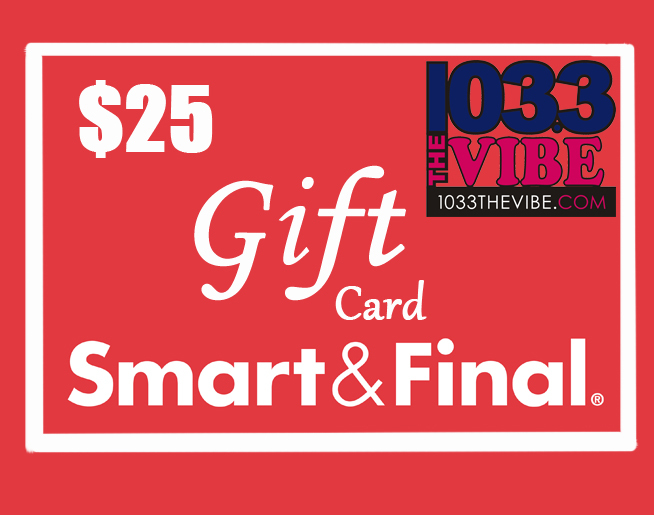 Gift Cards are furnished by Smart & Final Grocery Stores. ARV of each Prize is $25.00. GIFT CARDS ARE NON-TRANSFERABLE AND MAY NOT BE SOLD FOR ANY REASON. Winner is responsible for all taxes associated with prize receipt and/or use. Odds of winning the Prize depend on a number of factors including the number of eligible callers during the Contest Period and listeners participating at any given time. Station reserves the right to substitute any listed prize for one of equal or greater value for any reason.